Living in the city offers many advantages, but food storage space isn’t one of them. City dwellers can feel comfortable that everything they need is close at hand. You can have food and other products delivered to your door. City services make life a whole lot easier. You can see police officers doing their rounds. Hospitals are close by. Schools are within walking distance. From a prepper’s perspective, life in the city might even be safer and provide a greater feeling of security (although, maybe that’s a stretch). There are many challenges that an urban dweller has to face when in the process of preparing for the inevitable. For one, there is a limitation to living space. We all know that it is natural for preppers to stock up on supplies in our efforts to be ready for any survival situation. But we can only collect so many survival items, including food. For all its conveniences and promises of safety, life in the city isn’t everything it’s cracked up to be. FIRST IN FIRST OUT DESIGN - Allows you to rotate your oldest inventory first ensuring your food stays fresh while eliminating waste from expired cans. IMPROVED step by step assembly instructions provided to ensure proper installation. Food storage is one of the biggest challenges urban preppers face. In most cases, there just isn’t room to keep several months worth of food in a small city dwelling, or so it seems. Luckily, there are some things you can do to maximize space and solve some of these food storage problems. Length 17.36 inches X Width 13.27 inches X Height 13.58 inches. 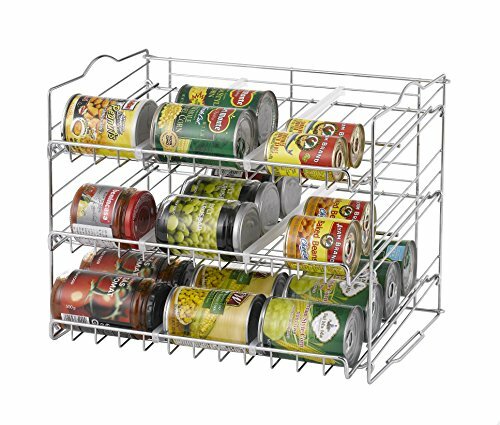 The 3 tiers can be moved or adjusted to almost any rung for better storage and organization. 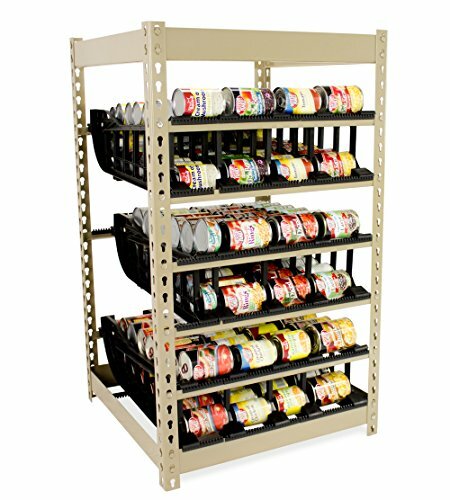 Easy to put together and adjust as needed new design customize to your pantry's needs with the 7 adjustable dividers.Simply place another rack on top and instantly double your storage capacity. Solid chrome plated metal frame with metal customizable dividers . Optimal slanted base to provide to easily slide the next can without denting or dropping the cans. A lot of people are now considering storing food for emergencies but feel they have obstacles that prevent them from doing so. Perhaps they feel they don’t have any free space, or become overwhelmed by the task. Having limited space and living in a hot humid climate for at least 120 days out of the year, I am very familiar with storage problems. Ideally, food should be stored at around 50-55 degrees, with no more that 15% humidity. Does that mean you cannot store food if you do not have these ideal conditions? Of course you can! The conditions described are “in a perfect world” type scenario, and we all know it’s not perfect, otherwise we would not need to store food. Summer temperatures in Texas reach over 100 degrees with 80% humidity. To save electricity, we keep the air conditioning at around 78-80 degrees. The A/C cuts down on humidity, but moisture still seeps in. This is something we cannot ignore. We just factor in that the food stored will not last as long as it would have at cooler, drier temperatures. Here are some tips: Clear out an area before getting started, or as you supply grows. Clean out the junk closet and sell or donate items, leaving free space for food storage. Try using underutilized spaces such as under the beds, inside empty suitcases or TV cabinet. Avoid waste and store only foods that your family eats. Resist the urge to stock up on sale or discontinued items just because of the low price. Choose canned foods that have the longest expiration dates. Do not buy cans that are dented or misshapen even if they are heavily discounted. Although some studies have shown they can last a few years past their expiration dates, I prefer not to risk it, especially after a friend’s unfortunate experience. Getting ill from eating spoiled food is not worth it. via 10 Easy Tips to Avoid Food Storage Problems | Apartment Prepper. The importance of food for survival does not even need to be discussed because we all know that we will not be able to survive if we do not eat. It is simply the most essential task in any prepper’s list of priorities. 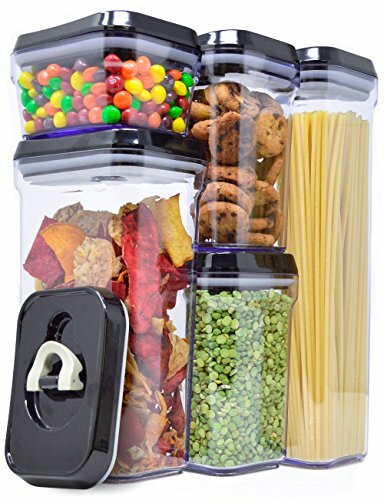 With that in mind, the focus should be on what kind of food will be stored. Factors like shelf life, temperature range and nutritional value should be considered. It is also important to remember to choose food that will be eaten. This is not only about enjoying the food but it is also about practicality. You do not want to stock up on packed meals, canned fruits or vegetables that will not be consumed. They will only be taking up precious space in your survival food cache. Deciding when you have enough food is the biggest question. What are you prepping for? Start with the magic number which is 72 hours. A month’s supply would take too much space and ultimately prove costly and impractical. It is all up to you and your specific needs to decide what and how much food to store.